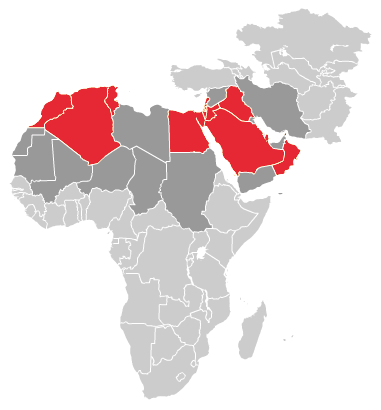 As part of the overall EuroMed regional project on Road, Rail, and Urban Transport programme, the 2011-2014 EU funded project aimed to contribute to the reduction of road crash death and injury in targeted countries and pilot communities. The programme targeted both technical staff working within road safety authorities at the national and regional levels, and reach out to road users (passengers and drivers), vulnerable road users (children, pedestrians, bicyclists), decision makers of public authorities and politicians, vehicle fleets of companies and organizations, and the general public. 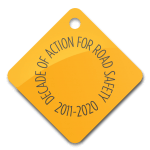 The end of 2014 saw the end of the EuroMed Road Safety project which was managed by the GRSP. The 1 million Euros project was designed to assist, and build capacity within, eight southern Mediterranean countries to improve road safety. An extended series of regional and in-country workshops were conducted in which GRSP experts shared global good practice in areas of engineering, education, behaviour change, data systems, advocacy and road safety management. These workshops proved to be excellent knowledge transfer opportunities and served to strengthen the road safety capacity of delegates representing a wide range of key road safety ministries from the beneficiary countries including transport, infrastructure, public health, interior, policing, statistics and others. Tunisia: ‘Design and Establishment of a Road Safety Management System for SORETRAS’ (Sfax Governorate Regional Transport Company). We are very happy to see that real progress has been made in some countries. The regional context is difficult. Significant political unrest was seen in many of our beneficiary countries during the year of the launch. We saw some countries change their ministers of transport, health and interior more than four times in the space of just three years. This made it difficult at times to keep road safety as a political priority. Further, multi-sector partnership is a fairly new concept in the MENA region and much work remains to be done to ingrain the model – yet overall, the project was a success. Such would not have been possible without the dedication and cooperation of the assigned delegates, the unconditional support of the EuroMed Transport officials at the European Commission, the reach and status of the IFRC and of course, the commitment from the whole GRSP team and our wonderful stable of experts and network members. GRSP can be proud that one of the delegates in Jordan, Lina Shbeeb, has been appointed Minister of Transport in the Hashemite Kingdom and is pushing for law reform around traffic and transport. Palestinian society across demographics endorsed the local projects in an unprecedented display of support. In Tunisia, the Minister for Transport, Chiheb Ben Ahmed has committed to replicating the pilot project within the 25 regional public transport companies operating in the country, and in Morocco, the project saw the development of an internationally recognized audit training workshop, unprecedented cross-sector collaboration and heightened engagement with the Moroccan authorities where the project will continue through private and public sector funding. We feel satisfied and relieved to know that though the programme has come to its natural end, work on many of the pilot projects will continue and the skills learned will be put to work and shared broadly within the beneficiary countries. This information has been produced with the financial assistance of the European Union. The views expressed herein can in no way be taken to reflect the official opinion of the European Union.